This wine falls under the MGM portfolio. Mondo del Vino closely follows oenologists and biologists, who control every stage of winemaking, ageing, bottling and quality, in order to create quality wines at great prices. 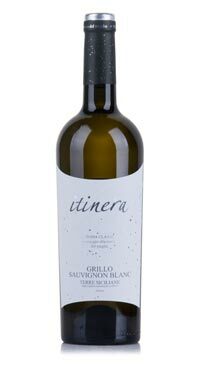 This is a blend of 30% Sauvignon Blanc with the island’s traditional Grillo grape. The nose and palate is fresh with notes of citrus and tropical fruit and a pleasing texture.